College of Public Health and Human Sciences Assistant Professor Perry Hystad. As the world warms, insects and pathogens are on the move. Heat waves are getting hotter and more frequent. Algal blooms are increasing in frequency, intensity and duration, posing risks to drinking water and shellfish consumption. Wildfires are putting more particulates into the air, leading to increases in asthma and hospital admissions for respiratory distress. “I actually view climate change as the highest priority in environmental health,” says Perry Hystad, an epidemiologist in the College of Public Health and Human Sciences (CPHHS). In 2014, Hystad’s global study of air pollution and health received an Early Independence Award from the National Institutes of Health. Among other things, he plans to focus on the influence of climate on heat stress, air quality and allergens. In the Pacific Northwest, human health is likely to take a hit from drought, wildfires, heat waves and infectious diseases, according to the Oregon Health Authority. 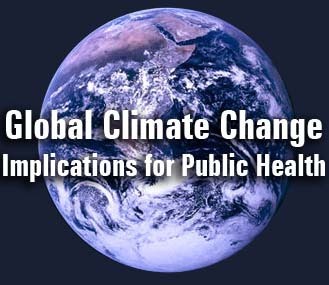 In 2010, the agency led a planning effort, funded by the Centers for Disease Control and Prevention (CDC), to identify climate change risks to public health and how they can be addressed. The Oregon Climate Change Research Institute (OCCRI) at Oregon State contributed expertise and data and worked with the Benton County Department of Public Health to assess vulnerabilities to hazards. Heat-related illness is an example. According to the CDC, 423 workers died in the United States from heat exposure between 1992 and 2006. In Oregon, CPHHS epidemiologist Jeff Bethel and Renee Harger, former master’s student in public health, surveyed 100 migrant farmworkers about their exposure to heat during the previous week. About two-thirds reported symptoms (heavy sweating, headache, extreme fatigue) consistent with heat-related illness, although they didn’t exclude other ailments. Compared to the South or Southwest, the Pacific Northwest is not normally associated with heat-related illness, Bethel says. That may be changing.